It's exclutive and bi-weekly LIMITED sale event. Only 100 ppls can buy these items as promotion sale price. +:+WTG+:+ **BamboO** choker-earpierces L$150 Event! 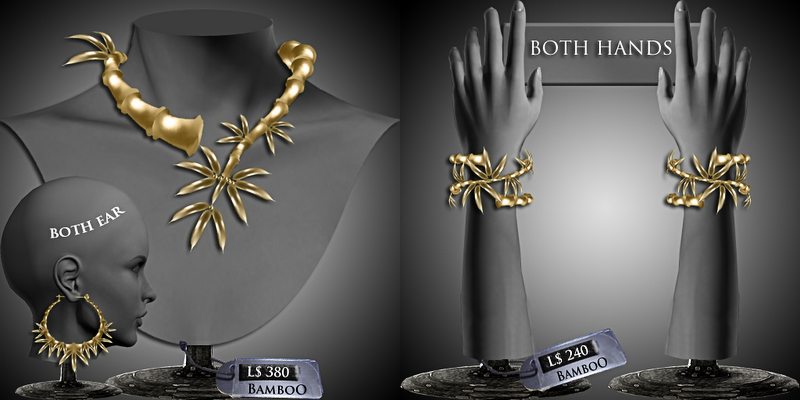 +:+WTG+:+ **BamboO** bangles L$100 Event!